Talented young singers from the local area!! 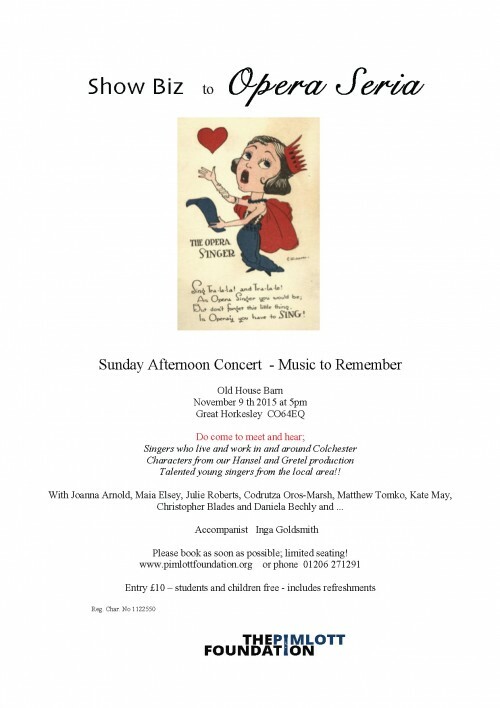 With Joanna Arnold, Maia Elsey, Julie Roberts, Codrutza Oros-Marsh, Matthew Tomko, Kate May, Christopher Blades and Daniela Bechly and accompanist Inga Goldsmith. Please book as soon as possible; limited seating! Book tickets below or phone 01206 271291. Entry £10 – students and children free – includes refreshments.